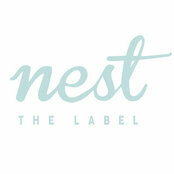 Nest the Label is the design studio of two young Sydney based creatives, Audrey and Brigitte. It is built upon our love for all of the little things that add a touch of beauty to our day. It was whilst we were studying Fashion Design that the idea was conceived, in response to a business assignment. 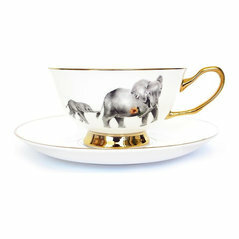 Our first range, The Golden Collection, is a collaboration on a range of delicate and quirky tea sets which are adorned with adorable, whimsical and playful illustrations meant to brighten up a table and create sparkle in lieu of conventional tableware. 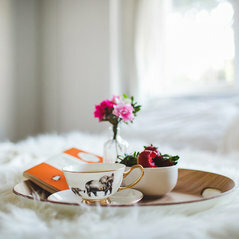 At Nest the Label, we believe that meal times are treasured moments and we strive to reconcile the beauty of dining with equally beautiful homewares. We are on a quest to deliver lifelong pieces of functional art to be treasured and loved.